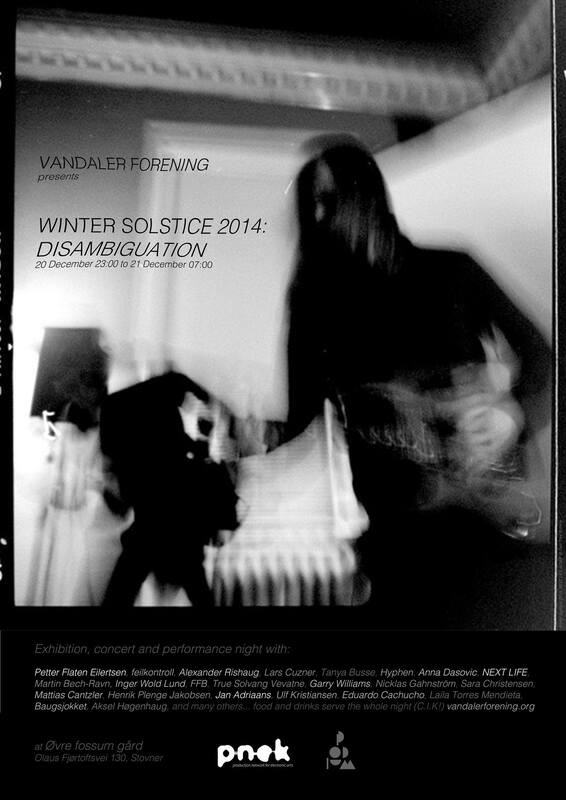 I’m playing a solo set as part of Vandaler Forening’s Winter Solstice 2014: Disambiguation at Øvre Fossum Gård in Oslo on December 20-21. Starts at 11 pm and ends at 7 am. I’m on at 1:30 am. Baugsjokket, feilkontroll, Globox, Hypen, Next Life, Alexander Rishaug and Second Reality are also playing. And there will be performances, text readings, art exhibition, video program, and food and drinks served all night. And breakfast for the survivors… Welcome!